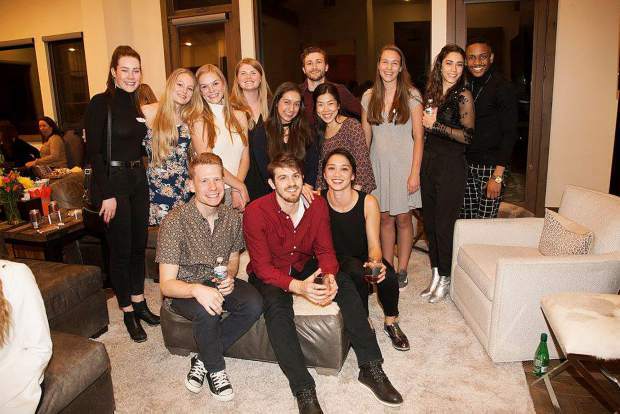 Members of the Vail Valley Academy of Dance and Studio 8100 had the opportunity to engage with dancers from BalletX at a question-and-answer fundraiser Tuesday night, Feb. 27, to support dance programs in the Vail Valley. The event was hosted by the Vail Valley Foundation, Vail Friends of Dance and Dance Assist. Philadelphia’s premier contemporary ballet company — BalletX — attendance highlighted the event, followed by a performance at the Vilar Performing Arts Center the next evening. Pictured here are members of the Vail Youth Ballet Company and BalletX.